Used tape media not only takes up space but could prove to be a liability. The best way to protect your sensitive data is to physically destroy the media by shredding. American Eagle Systems is a leader in asset recovery, data destruction and environmental recycling for tape media. Our technology and expertise assure our clients that they are in compliance with both environmental legislation, and financial and accounting disclosure information legislation such as Sarbanes-Oxley, HIPAA, HITECH, Red Flags, Grahm-Leach-Bliley. We are fully aware of the obstacles corporations face to securely dispose of tape media without compromising the security of the sensitive data. We are able to provide you a complete solution by offering any combination of pulling, scanning, degaussing/eradicating, packing and destroying your tape media either onsite or offsite. We can destroy any media type including but not limited to 3592, 3570, 3590E, 3590, 3490E, 3480, T10000, 9940, 9840, LTOI, LTOII, LTOIII, LTOIV, LTOV, DLT, SDLT, 5.25 Rewriteable, WORM Optical Disks, DVD, CD Optical, QIC, Travan, SLR Data Cartridges, 8MM, 4MM, AIT Mammoth Cartridges and Hard Drives. AES will securely destroy your tape media right at your location. We will send to your site a mobile shredding vehicle with the capability to immediately shred your media into unidentifiable and unusable pieces. Being that you can see the process in its entirety, you can be sure that before we leave your site, your data has been completely destroyed. 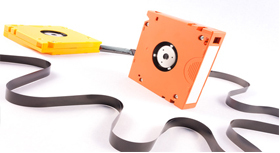 The tape and hard drive destruction takes place in an environmentally acceptable manner and a Certificate of Tape Destruction is provided to your company. Don't occupy your technical staff with the task of consolidating retired assets and performing inventory functions when AES can coordinate and manage all aspects of your equipment removal and destruction, servicing even the most remote satellite facilities of your organization.